South Africa’s Eastern Cape is a fabulous holiday region not to be passed over by international visitors. Gaining huge appeal as a terrific hamper of first-class holiday experiences, and without the risk of malaria, Eastern Cape offers a brilliant combination of wilderness and wildlife, beaches, waterways, forests, desert, history and culture. Two of Eastern Cape’s top attractions, Addo Elephant National Park and Camdeboo National Park, have recently logged record highs in visitor numbers, especially visitors from Germany, The Netherlands and United Kingdom (stats kind courtesy of Southern & East African Tourism Update.) 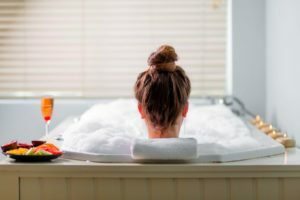 Here we give you an overview of some of the region’s most wonderful offerings. Addo Elephant National Park in Eastern Cape is a treasured wilderness where elephants can be viewed at exceptionally close range. 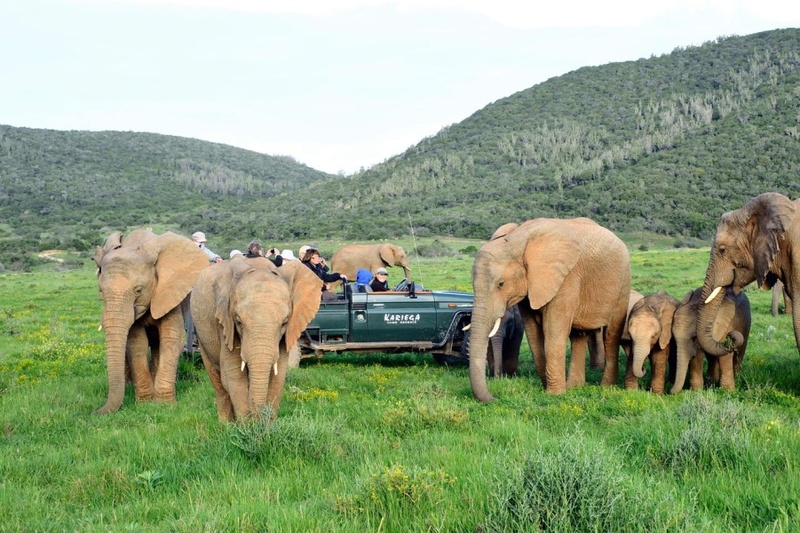 This is one of the prime attractions of the Eastern Cape, with elephant viewing top of the activity list. In the Geater Addo area around the park, several private wildlife reserves offer superb Big Five wildlife safaris and excursions into Addo Elephant National Park. Gorah Elephant Camp is a top-class tented safari destination in a private concession within Addo Elephant National Park. 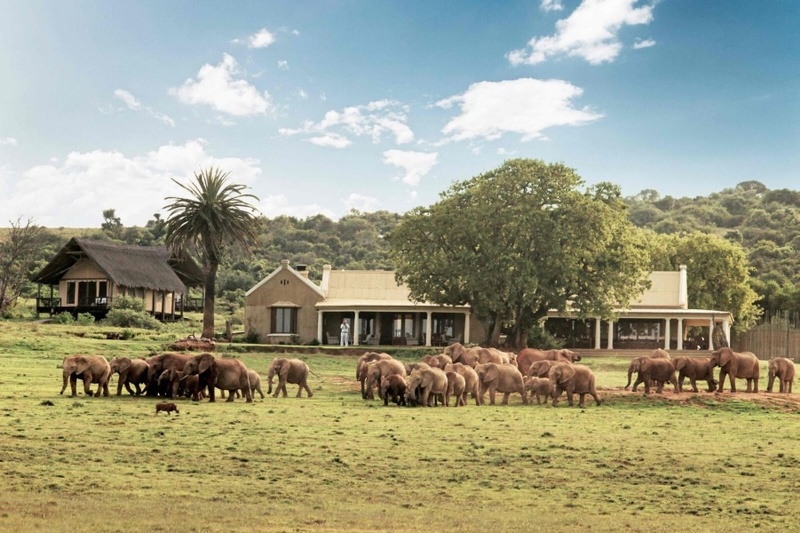 The Gorah experience is a true safari classic, where guests watch massive herds of elephant passing the gorgeous, wide-verandah’d manor house that forms the focal point of an opulent safari camp. There are daily guided drives to view elephants and other wildlife. Accommodation in tented safari suites is utterly sumptuous. Other excellent lodges in Addo Area. Camdeboo National Park stretches out around the town of Graaff-Reinet in the awe-inspiring Karoo. The park shelters magnificent scenery on a millions-of-years-old landscape. The park includes the well-known Valley of Desolation and unspoiled tracts of wilderness where a variety of wildlife flourishes. 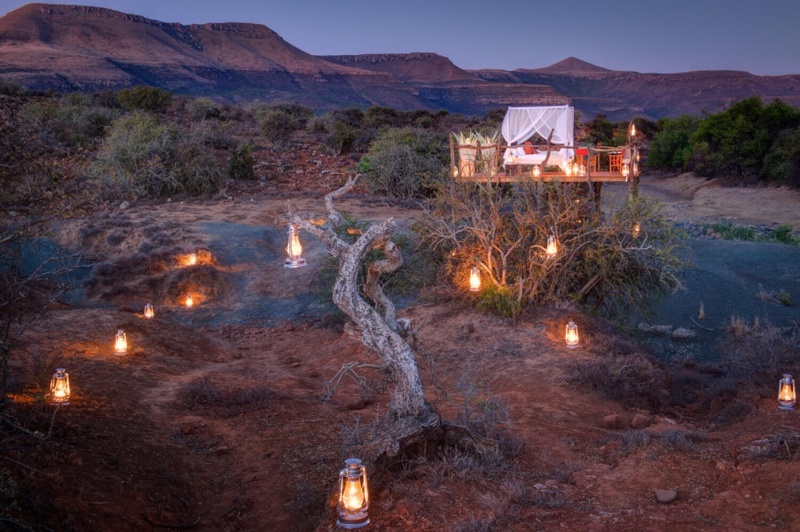 Mount Camdeboo Private Game Reserve is a sanctuary for conservation and personalized safaris in the Great Karoo region of the Eastern Cape. Your safari at Mount Camdeboo can include game drives, guided walks in the wilderness, tracking of cheetah, and visits to historic sites. 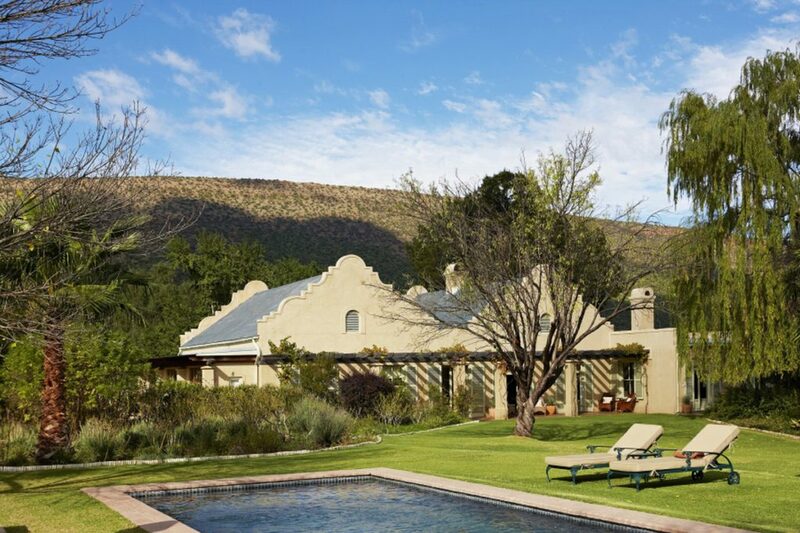 Samara Private Game Reserve is another wilderness destination in the Graaff-Reinet Area of Eastern Cape. Be inspired by Samara’s conservation projects; walk-and-stalk the highly endangered cheetah; explore exquisite plains and view large herds of antelope. The Wild Coast is a rugged and scenically majestic holiday destination in Eastern Cape. What makes it so appealing is that it is not overcrowded with visitors, and offers very unspoiled natural landscapes. 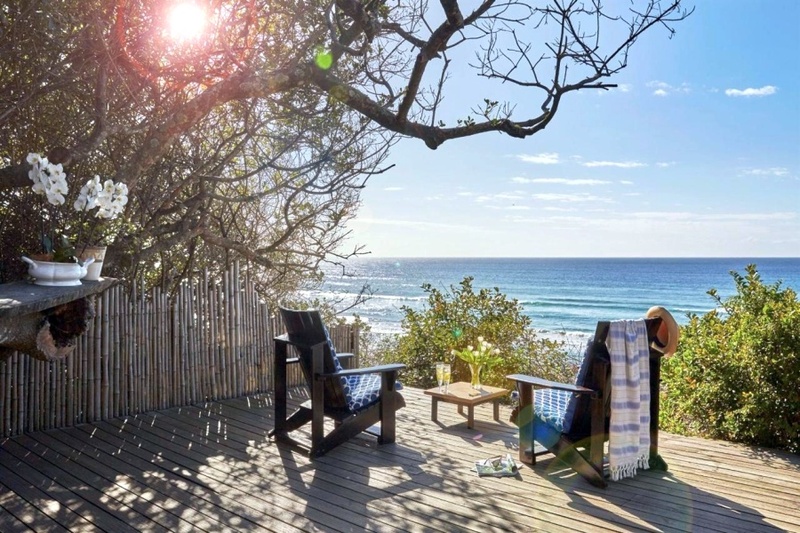 Prana Lodge is a luxurious Wild Coast lodge, with private access to a pristine beach. Other excellent Wild Coast Lodges. The Eastern Cape has a very rich history, settled as it was by large numbers of European settlers who made significant imprints on the area, as did the indigenous Khoi and Xhosa peoples. The area has been shaped and marked by numerous cultures, and much of its diverse heritage can still be enjoyed by visitors. Grahamstown is a popular heritage town to visit, and the Great Fish River a scenic area in which to enjoy the wilderness. Game Reserves in the Grahamstown Area. 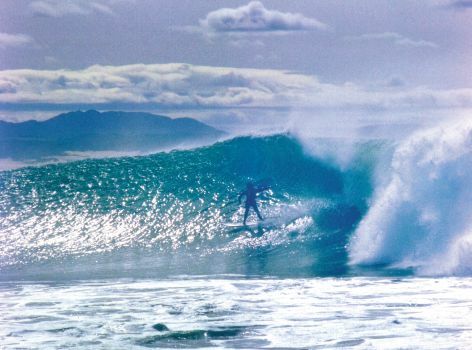 Visitors keen to find a near-perfect world of waves for surfing, will love Jeffrey’s Bay. It’s a surfing hot-spot 75 km away from Port Elizabeth, just perfect for surfers and beach lovers. Surfing is exceptional at Jeffrey’s Bay in Eastern Cape. Image courtesy of Diaz 15 Apartments. Our Choice of Accommodation in Jeffrey’s Bay. Cape St Francis and St Francis Bay are picturesque havens in a holiday paradise on the coast of Eastern Cape. 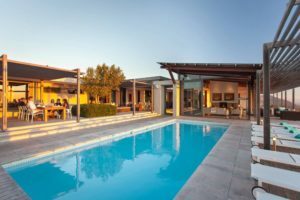 Fantastic beaches, waterways and an unhurried lifestyle based on prime leisure make these towns outstanding holiday bases. 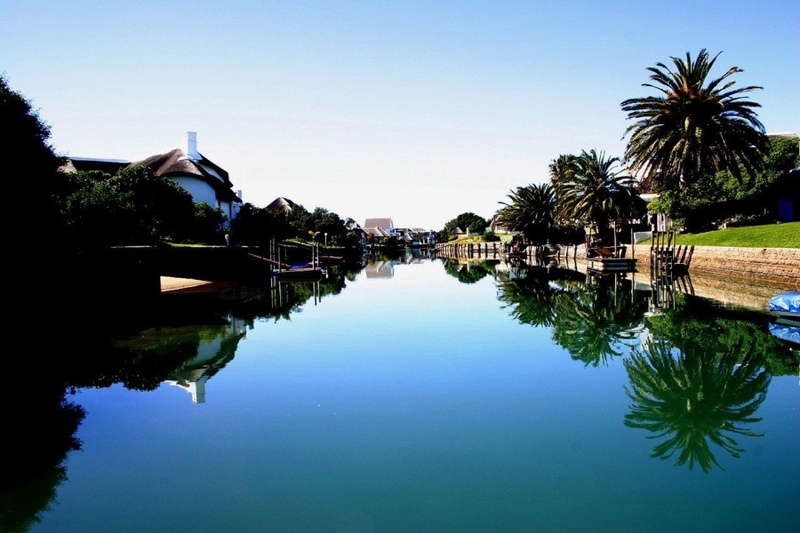 The pretty waterways in St Francis Bay, image courtesy of Sandals Guest House. Accommodation in Cape St Francis. Accommodation in St Francis Bay. Accredited as South Africa’s “friendly city”, Port Elizabeth offers wonderful beaches, great water sports and surfing, excellent marine life and a host of heritage experiences. All this quite aside from being the gateway to magnificent game reserves when travelling from the Garden Route. Mail us to book an unforgettable holiday in Eastern Cape, or call us on +27 21 797 7122. Exclusive Getaways specializes in safari holidays and countrywide tours. We’d love to help you plan your holiday in South Africa.